I'm thinking about getting this system on my 2005 Subaru Liberty Spec B Manuel. Not sure if it will look like absolute sh*t as it is a 4" or if it will look really good. Looking for some opinions and thoughts about the X-Force Catback 4" Stainless Steel Exhaust. Anything will be great!!! 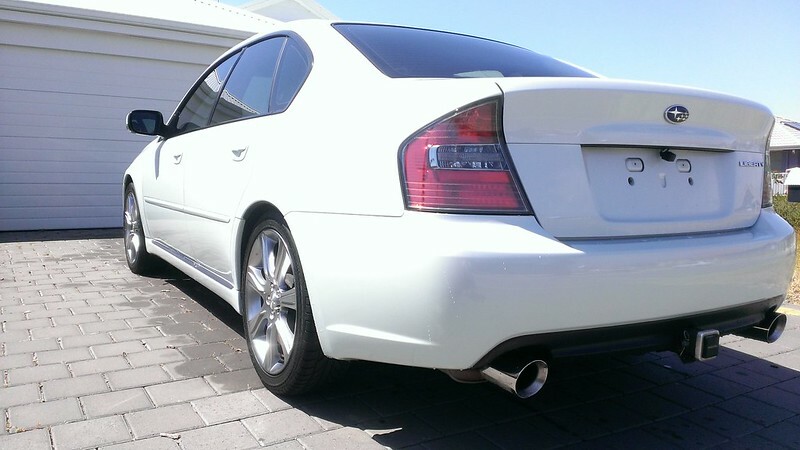 It's off mufflers to the max, it is specifically a Subaru Liberty H6 exhaust. The file is to big to upload. Stainless is pretty raspy, would go mild if it was me, but stainless looks better. Got these on the wife's, look decent and not out of place. I originally had the cat back system, was to loud and had too much drone in a wagon, just have the rear mufflers on now and sounds alright when warm (as Jordan.k said, raspy when cold).